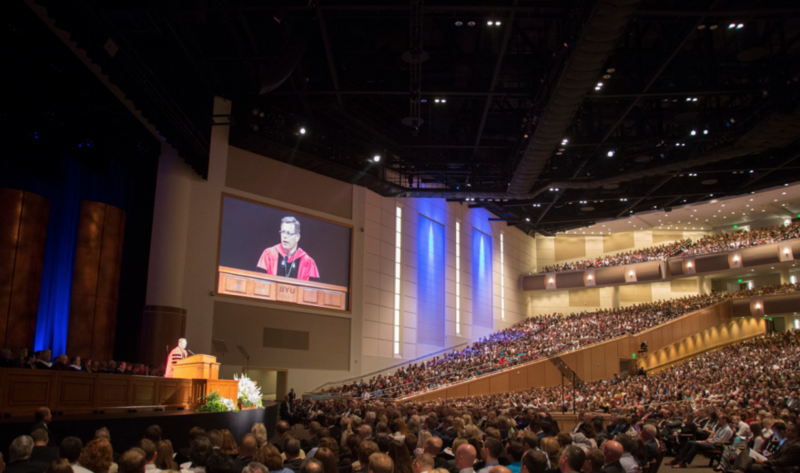 REXBURG, Idaho — Dr. Clark G. Gilbert was installed as the 16th president of Brigham Young University-Idaho Tuesday, September 15. 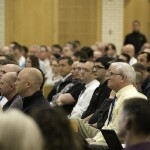 The event was held in the BYU-Idaho Center, and President Dieter F. Uchtdorf presided. A recording of the inauguration can be viewed online. 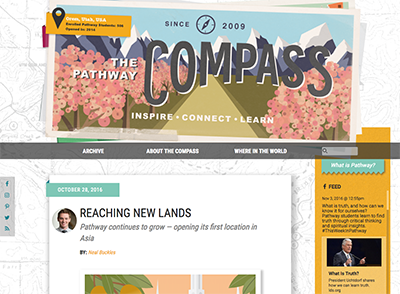 During his inauguration, President Gilbert said the university faces “a dual challenge: to continue to strengthen our core campus experience, even as we pioneer new ways to reach students around the world.” President Gilbert noted that this must be done by developing “capabilities to understand the needs of non-campus students,” including PathwayConnect’s 14,983 current students. 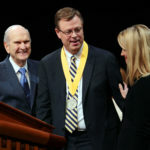 Clark G. Gilbert previously served as the president and CEO of Deseret News Publishing Company and Deseret Digital Media in Salt Lake City, Utah, but previously worked at BYU-Idaho as an associate academic vice president, where he oversaw both Pathway and the university’s online programs. For more information, read President Gilbert’s Inaugural Response. 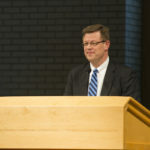 BYU-Idaho President Clark G. Gilbert speaks at his Inauguration. Photo by Erik Hill.